Property price growth is simply a function of supply and demand. Our belief in the wider Australian property market is built on the foundation that our population will always need somewhere to live. Therefore, as Australia’s population continues to grow, so to does the demand for property. We recently reached a milestone of 25 million people, which is no mean feat, considering our nation was federated just over a century ago. So, what does this look like for our population, let’s have a look at the population movements around the country. Last year, the country’s population grew by 388,124 people, in the fifth largest year of growth on record. A large majority of this stemmed from overseas migration, which accounted for 63.2% of population growth (equating to 245,000 new Australian residents from migration). The remaining 36.8% came from the net natural increase –the difference between the birth and death rate. Victoria’s population remains the fastest growing in the country, with a growth rate of 2.3%, this is followed by the ACT (1.7%), NSW (1.6%) and QLD (1.6%). While this gives an overview of which state is growing the fastest, the origin of population growth is also an important factor. 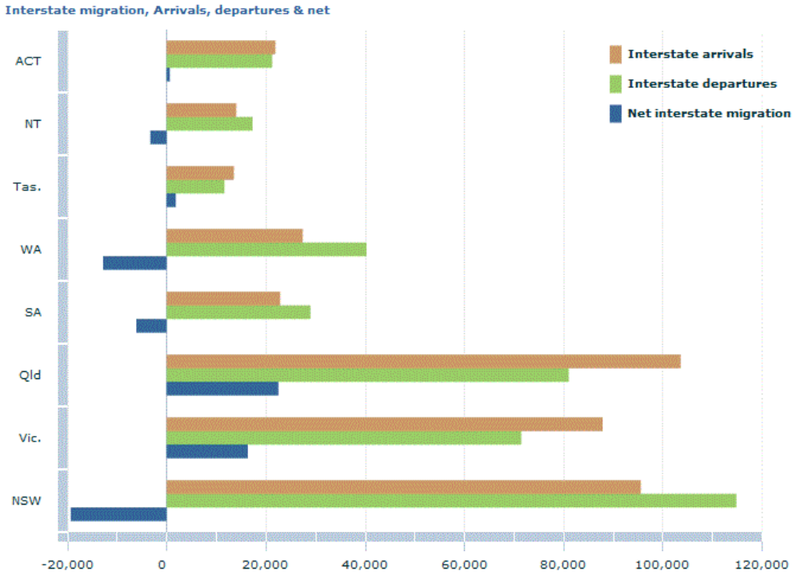 As an example 84,000 people out of the 101,000 people who moved to Greater Sydney came from overseas migration. While 17,943 migrated away from Sydney last year to other Australian locations. The significant net loss of residents to other Australian city’s is a clear indicator of the affects that strained housing affordability is having on the Sydney market. Queensland on the other hand, was the strongest benefactor of interstate migration, a great reflection of how the states affordability, relative to it’s desirable lifestyle is driving population growth. So, what drives population growth? Why are people migrating to these areas? Population growth occurs as a result of employment, affordability and lifestyle. Identifying markets which provide these factors, will allow you to take a forward thinking approach to the movements in population growth. Our model assesses markets based on several metrics including infrastructure investment, employment and economics, population demographics and supply and demand. This aids us in gauging where the strongest levels of population growth and property demand lie. Our focus remains on the Brisbane and Melbourne markets which present healthy long-term economic prospects, while also showing the relevant drivers for sustained population growth. The significant investment in infrastructure in Brisbane will drive job growth and the evolution of the city. Melbourne’s top performing economy and employment growth is driving its exponential population growth, and will continue to do so for the foreseeable future. Which Australian cities are growing fastest? Older Blog Older post: What Makes the Right Property?